This year’s DREAMS event showcased creative and impactful work from JHU undergraduate researchers in a variety of disciplines. 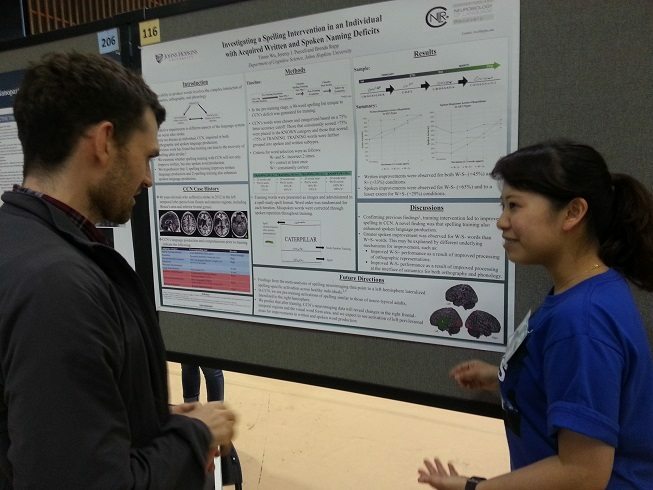 Senior Tinnie Wu presented novel findings from her work in the CogNeuro lab in which she observed improvements in spoken and written naming following a spelling intervention in a participant with post-stroke aphasia. Tinnie will be graduating with Neuroscience Honors. Congratulations Tinnie!